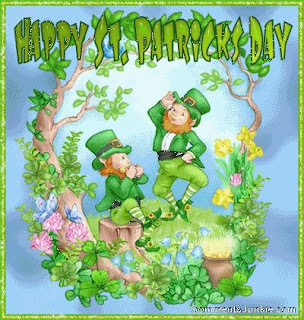 Welcome to day two of the St. Patrick's luck day blog hop. Be sure to start over at Angela's blog to get started and see all the great projects, and I hear there are prizes along the way so be sure to check out every ones blog. Sorry no blog candy here but I do have a fabulous project to share with you!!!! I used black and kelly green to get this color. MMM...Can I have some... They look so yummy and I love your sign for the cupcakes.. The cupcakes look delicious and the flags are adorable! Oh now, that is just cruel! ;) Those cupcakes look yummy, but you can't pass them thru the computer to share!!! LOL Darn it, and I love cupcakes too! *sigh* - I guess I'll just have to admire them from a distance! :0) Great job! I'm a new follower and a fellow stop on this hop!